Do you want to amaze your customer with your packaging? Or want to give your customer a personalised package instead? 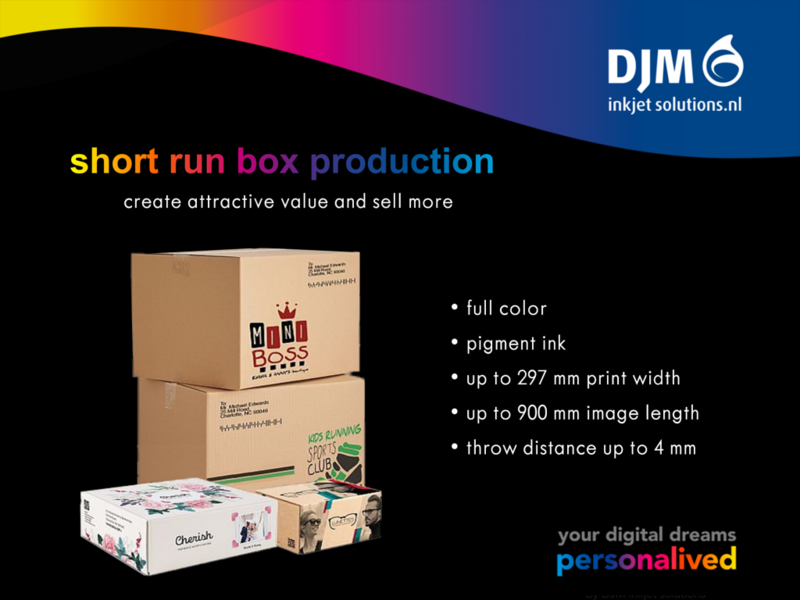 Then start using DJM’s inkjet solutions for printing your content on your packaging. With DJM’s inkjet solutions, printing on packaging – even in short run – was never that easy. High quality and flexible data will give you the opportunity to create attractive value and sell more. DJM will soon launch a new full color system, with interesting specifications that is suitable for printing many applications.